Muslims Inc: How rich is Khairat El-Shater? Is he only worth the LE80 million that was confiscated from his family back in 2007? No one can tell. Very little is known about the economic ventures of the multi-millionaire businessman Khairat El-Shater who at the weekend became Egypt's latest presidential hopeful. He is the second-in-command in Egypt's largest and best-organised political group, the Muslim Brotherhood, and, according to some reports, their top financier. But El-Shater's official site and Facebook page doesn't say much about his business interests. Tracing these connections is a tricky endeavour as any of his ventures could be registered in the name of his wife or any of his ten children, political economy professor Zeinab Abul Magd claimed in an article. Abul Magd said that 72 Brotherhood-related companies were confiscated in 2007 in what turned out to be the final Mubarak government crackdown on the then-illegal group. Among the businessmen apprehended by police were Ahmed Shousha, Sadeq El-Sharqawi, Ahmed Ashraf, Ahmed Abdel Aaty, Asaad El-Sheikha. All were accused of laundering money for the Brotherhood. One ex-Brotherhood member told Ahram Online that El-Shater's combined wealth calculated by the military court in 2007 amounted to around LE80 million ($13 million), but that this could be only the tip of the iceberg. As a prohibited political group, the Brotherhood had a history of hiding its resources to protect them from confiscation. Members of the organisation living in exile – among them Youssef Nada in Switzerland and Kamal El-Helbawy in London – were reportedly responsible for investment portfolios. El-Shater himself spent many time in the UK, Jordan and Saudi Arabia between the years 1981 and 1987, according to the official site Ikhwan Wiki. He also sits on boards of several companies in Bahrain, Luxembourg and UK, according to details on his profile at the LinkedIn website. "The military court report mentioned all assets and funds under the name of Khairat [El-Shater], his wife and children," the source, who requested anonymity but claims to have read the document, says. "But it is almost certain that there are other funds and assets under other names." He added that Hassan Malek, another tycoon belonging to the Muslim Brotherhood, was said to be have had LE120 million confiscated, according to the same 2007 court report. Trade and commerce appear to be El-Shater's forte. He has many business dealings with Turkey, importing furniture and clothing through the Istikbal and Sarar brands. The source also claims he is involved in a pharmaceuticals company called Hayah with Ahmed Abdel-Aaty. 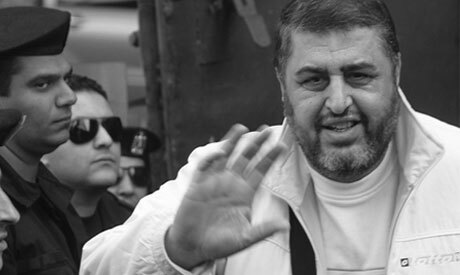 Abdel-Aaty was also tried by the military in 2007. Some observers even speculate that Brotherhood's funds are mixed up with El-Shater's own and that he is responsible for the investing the group's wealth. Despite repeated crackdowns on El-Shater's businesses by Egypt's former regime – starting in 1992 with the confiscation of his Slasabeel computer systems company, the 61-year-old seems to have survived, and even flourished, financially. Should El-Shater prove victorious in the presidential race then he will be required by law to disclose his wealth, bringing an end to the mystery. For now it seems the most comprehensive and publicly-available list of El-Shater's business activity can be found on the popular professional networking website Linkedin. From January 2004 to the present, he was co-founder and owner of Sarar Company for Men's Clothing. Sarar is also linked to Hassan Malek. From January 2004 to the present, he was co-founder and owner of Al-Shehab for Bus Manufacturing. From January 2003 to the present, he was co-founder and owner of Nqaa Company. From January 2001 to the present, he was co-founder and owner of Rawag Company, owner of the Egyptian franchise for Turkish furniture trader Istikbal. From January 2000 to the present, he was principal (main owner) of Al-Salsabeel for Trading and Investment. The site also lists positions previously held by El-Shater, including on the board of the International Bank For Development and Investment, and at El-Mohandes Bank. It also says he was a board member for several companies in Bahrain, Luxembourg and the UK.